The LED modules LinearZ are the first of their kind and available in lengths of 560mm, equipped with 52 LEDs, or 280mm with 26 LEDs. 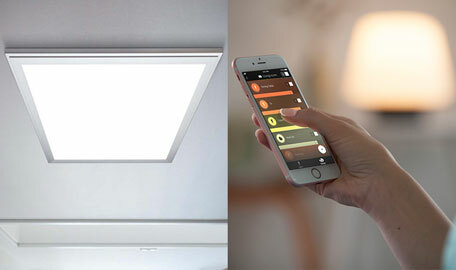 The LinearZ LED strips are easy and convenient to install. Since the modules are designed according to the Zhaga standard, they are compatible with common luminaires. In addition, they do not require a heat sink and can be connected without soldering. Their slim design makes them ideal for use in narrow luminaires for industrial or workplace lighting. Thanks to the narrow mounting, no light points are visible. 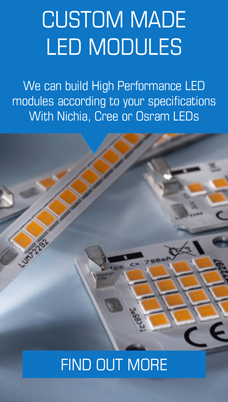 Due to the high-quality SunLike LEDs in 3-step MacAdam binning, the LinearZ modules emit even and homogeneous white light. The modules are 100% Made in Germany and have a 5-year warranty. The LED strips are equipped with the innovative SunLike full-spectrum LEDs from Seoul Semiconductor, which have a CRI value of almost 100 and whose light spectrum no longer has any gaps. The complete colour spectrum, which is comparable to sunlight, reproduces colours in a particularly realistic manner and even the smallest colour nuances can be reliably assessed.